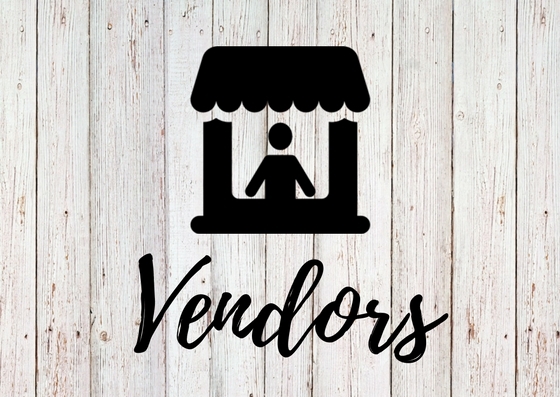 Get to know the vendors at the Minto Farmers’ Market! 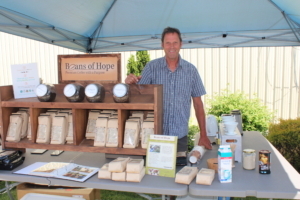 Beans of Hope is run by Frank Folkema, and serves fresh coffee to his local customers. Frank works directly with the small scale coffee farmers, giving them the tools and financing to be able to earn an income from their coffee. Frank sells a variety of coffee stemming from all around the world, as well as coffee blends. Come visit Frank and have yourself a nice cup of coffee! 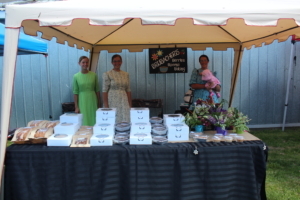 Brubacher’s Berries, Blooms and Baking is run by Carol Brubacher and her daughters. 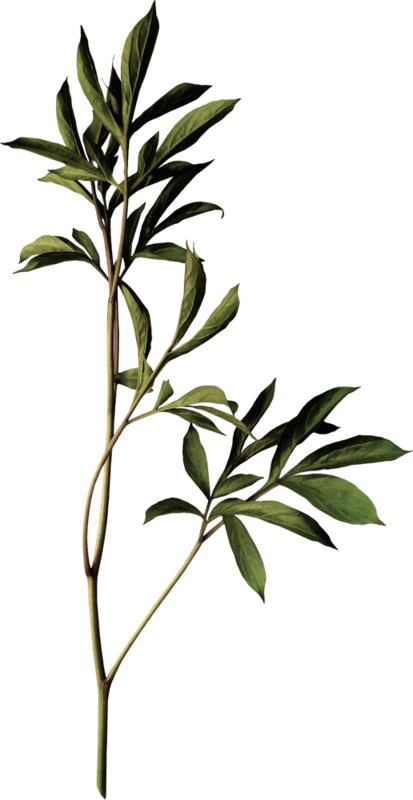 They offer a variety of products including baking, produce and flowers. 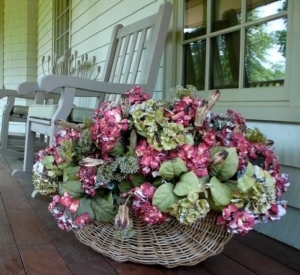 They offer fresh floral arrangements to brighten your home, sold as bunches or in the vase. Carol also grows strawberries, garden peas and beans, which she will have at the market when they are in season. Her Spelt bread is made with organic spelt flour, which compared to wheat flour is richer in many nutrients such as protein and minerals. Their baking includes cinnamon rolls, maple butter, tarts and cookies. 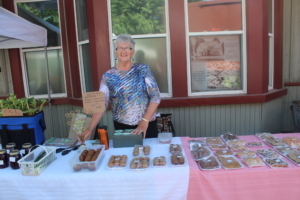 Come visit Carol every week at the Farmers’ Market and pick up some berries, blooms and baking! Delford and RuthAnn Martin reside at their farm in Gowanstown where their family grows flowers, fresh produce and makes their own sweet maple syrup! Farewell Home Baking is run by Anna Brubacher. Anna sells a variety of items including baking, crafts and produce. She also has a beautiful array of flowers, including bouquets, bouquets, hanging baskets, bedding plants and potted plants. Come on down and enjoy all of the locally-grown goodness that Anna has to offer! Edwin and Lena Martin run Full Circle Farm, located at 6383 10th Line, Harriston. With a pick-your-own strawberry patch, weekly CSA shares, as well as fresh vegetables, salad mixes, jams, jellies and baking for sale, there’s plenty to check out! 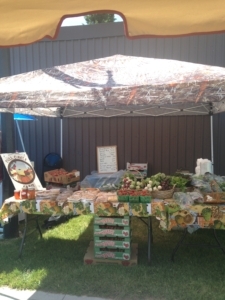 Come visit Edwin and Lena every week at the market to pick up some fresh produce and some tasty treats! Owned and operated by Luke and Crystal Hartung, Harwill Farms is proud to produce local, pesticide-free vegetables, and pork products. Farming just south of Palmerston on Line 89, Wallace Township, they offer a large range of fresh vegetables and fruit. Their biggest crop is pumpkins and squash; you’re invited to come visit the farm on October 1 to check out the pumpkin patch and pick your own pumpkin! 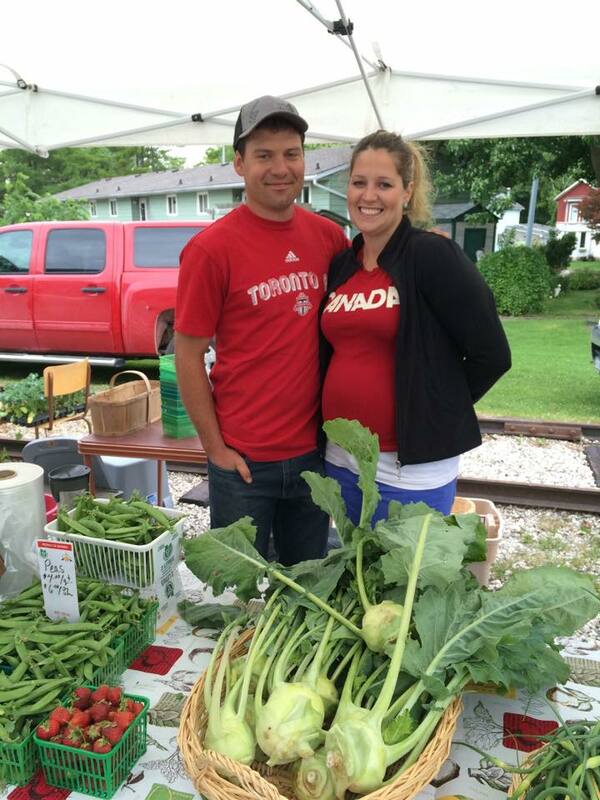 Harwill Farms will be selling all summer long at the Palmerston Market! 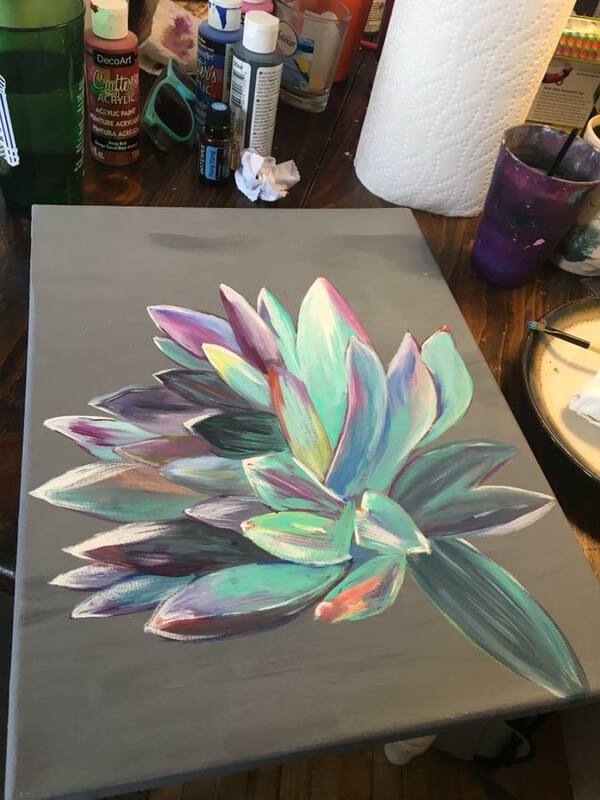 Stephanie is a local artists who resides in Palmerston and creates acrylic painted canvases ranging from hand painted canvases, abstract originals and landscapes, to home decor and more! Come by and be inspired at Stephanie’s booth at the Market! 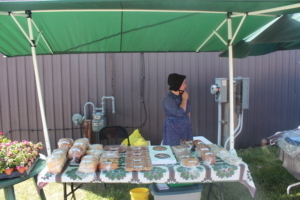 Katie Baarda creates a delicious, weekly assortment of pies, muffins, cookies and other baked goods for the Palmerston Farmers’ Market. She also offers fresh vegetables from her family farm. Katie will be at the Palmerston Farmers’ Market every Saturday morning! Dorothy, who has over 20 years in the field of floral arranging, will be at the market with her beautiful silk and dried flower arrangements. 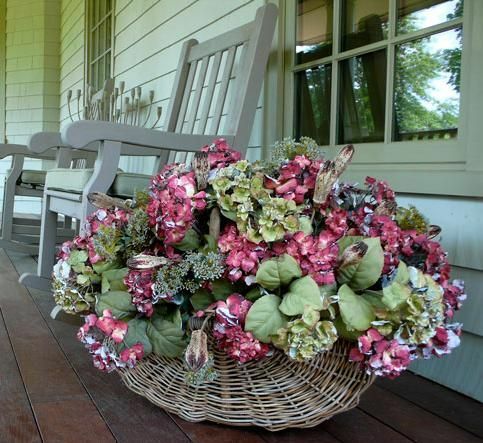 She also creates beautiful seasonal wreaths, swags and any arrangement to suit your taste! 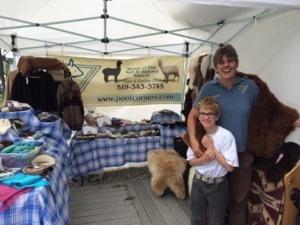 Pootcorners Cozy Cupboard & Kitchen Table sells a variety of Alpaca products from yarn, clothing, blankets and rugs, to meats and hides. Take a look through the pictures below to see all that they have to offer – perfect for gifts and warm, cozy attire. 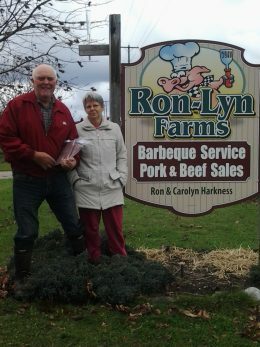 Ron-Lyn Farms was established 45 years ago. The farm has been in the family for over 100 years. From witnessing the miracle of a calf being born to working the land – farming is “in our blood.” We are proud to be a family farm offering antibiotic and hormone free products. We have a BBQ on site at the market and serve both beef and pork – be sure to stop by for a snack! Handmade goods with a purpose. A portion of every item goes towards the breakfast program at our local school in Minto! 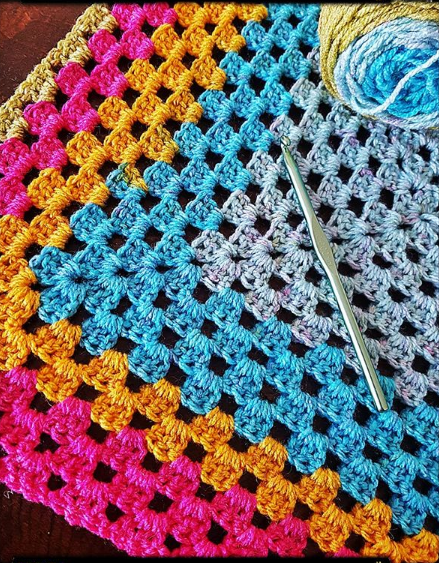 Julia sells her knitted and crocheted items, homemade t-shirts, sweatshirts and personalize mugs, tumblers and more! 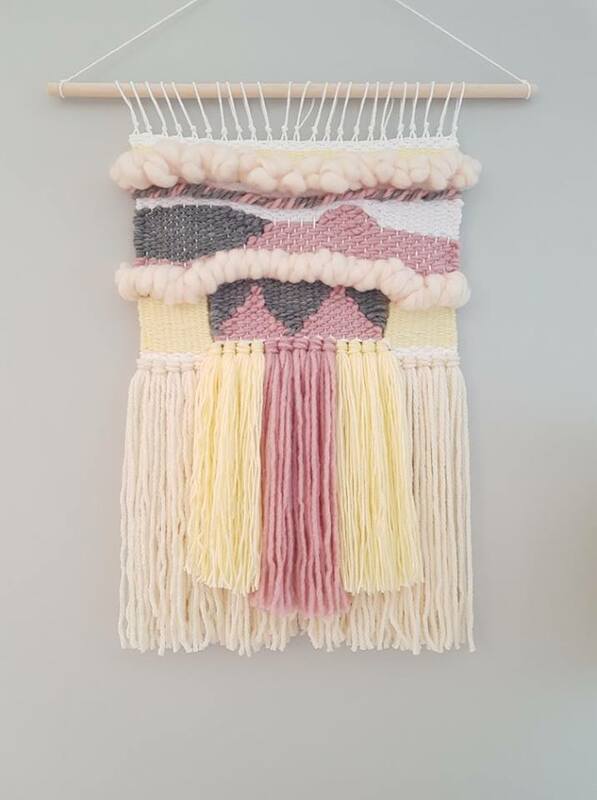 Kalina is a local Minto resident and she creates unique decorative fabric wall hangings, along with one-of-a-kind pieces all made by hand! She makes her creations with love and in hopes that others will see the beauty in her creations. Stop by her booth at the market to be inspired and go home with custom home decor!